Eczema News – Is Baby Wipes causing the Rash? Posted byMei 23 July, 2014 26 May, 2014 2 Comments on Eczema News – Is Baby Wipes causing the Rash? In the beginning of the year, there was a ‘scare’ – news circulated that baby wipes is the cause of terrible rash on the face of babies. This is in response to a study published from observations of 6 children, with ‘disfiguring patches to crusting, swelling, blistering and tiny cracks in the mouth, cheek, hands and/or buttocks’. 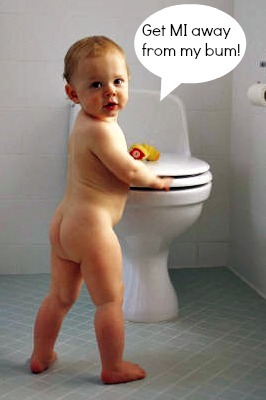 Even though it’s half a year since that news, many parents are still very wary about baby wipes. Now, let’s admit it – baby wipes do come in very handy, so let’s take it as we still need baby wipes. So what do we know about these rash-causing baby wipes in order to choose the ones that are safe? Atopic dermatitis where the child is allergic to ingredient, and rashes develop very quickly even for small amount of contact. Contact dermatitis where sensitization occurs overtime, i.e. the irritant has been in contact with the skin for some time. This is more common. In both types of dermatitis, the ingredient to look out for (and avoid) is methylchloroisothiazolinone or methylisothiazolinone. The treatment is similar – avoidance + prescription to reduce skin inflammation. The potency of the cream will depend on each patient and also where the rashes are. Avoid wiping the baby’s face (more sensitive, thinner skin) with wet wipes, especially when you are not clear about its ingredients. 1. Increasing reports of sensitization to methylisothiazolinone (MI), with many studies citing it as an ‘epidemic’. MI is also named 2013 “Allergen of the Year” by the American Contact Dermatitis Society. 2. MI is an ingredient contained in baby wipes, and it is a preservative used in cosmetics, household, and industrial products to prevent bacterial and fungal contamination. 3. The % of sensitization range from about 2% to 4%, so it is not a sure thing that your child will react to it. 4. A patch test can be requested to check if there is hypersensitivity to methylisothiazolinone and in this regard, improvements to patch test for this have been suggested to modify the test solution concentration and also to increase the length of observation to 7 days. 5. The age group most susceptible to this is female above 40 years (6% sensitization), on the face due to cosmetics. Certain occupations are painters and beauticians. Parents are also affected due to the use of baby wipes, so not just the kids! Studies here and here. So my take is if your child or yourself doesn’t react to baby wipes, you can continue using but take care to use less often, not on the face, and find those brands without MI if possible. What’s your favorite brand? Glad to see MI does not feature on man size Andrex wet wipes – but horrified to see the array of chemicals that are used on sensitive skin. Thank you for your research. Really valuable. Thanks Dr B for dropping by! Sometimes we see ‘baby’ and we think it’s safe, but not always 🙂 Heard of overuse of baby wipes on face too, likely the chemicals in a low quality wipe are worse than the food/saliva on skin.